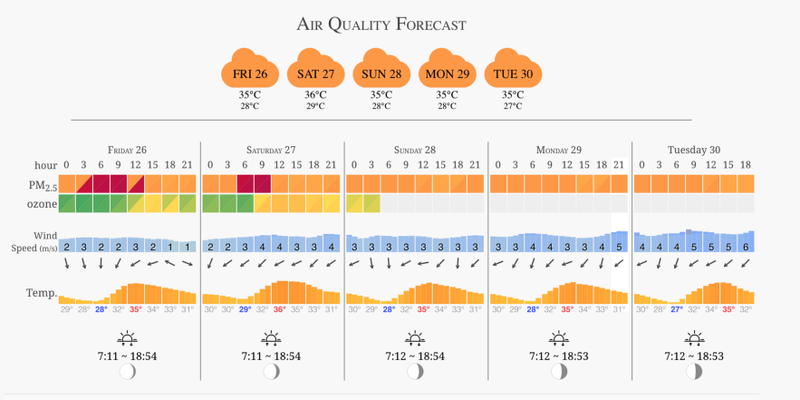 If you’ve travelled to Bangkok this past year, there is a good chance you caught the city in one of it’s worst air quality plagues in years. April showers bring May flowers? Not for the 8 million people living in Thailand’s metropolis. For those staying in the popular and more traffic-heavy areas of the city, certain times of the year bring thick layers of smog that can often lead to issues for your health. 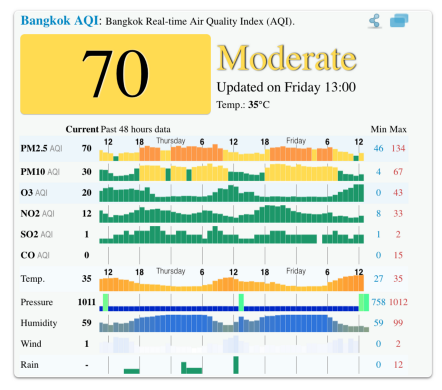 In fact, in January of this year, Bangkok experienced smog levels that caused the government to issue a health warning to “at risk” residents such as children and the elderly . Poor air quality issues in major cities isn’t a rarity. Any big city going through development and industrialisation like China and India — even LA, New York and London — have infamous reputations when it comes to air pollution and smog issues. Yet in Bangkok, it was never a notable issue — until now. There are more efficient alternatives to paper masks to protect against air pollution. What’s causing all the smog? Nothing unusual here. 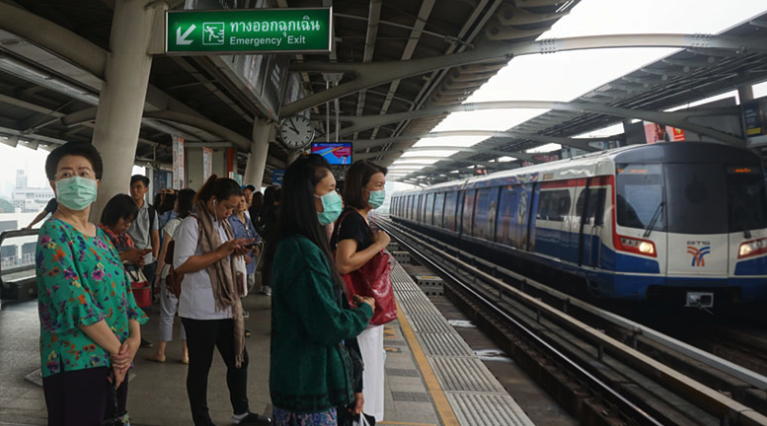 The most prevalent cause of Bangkok smog comes from the carbon monoxide/dioxide from cars and transport on the roads — and we all know about Bangkok traffic— that are released into the atmosphere, causing a layer of dense fog-like smog to drape over the city. Another reason why it’s been getting worse as of late is that of the lack of wind being recorded recently. Hot days mixed with a low circulation of wind means that pollution sits stagnant in the atmosphere, leading to air quality levels to soar way above 150 on some Air Quality Index (AQI) monitoring devices . Before moving to Bangkok, I’ve already come to the realization that the air wasn’t going to be as fresh and clean as what I was used to living in the suburbs of Toronto, Canada. Living right along Sukhumvit Road— the most traffic-dense street in Bangkok — doesn’t help either. So from my own research and experience, I try to practice a few measures to keep my respiratory system as safe as possible when the air quality gets reallybad. 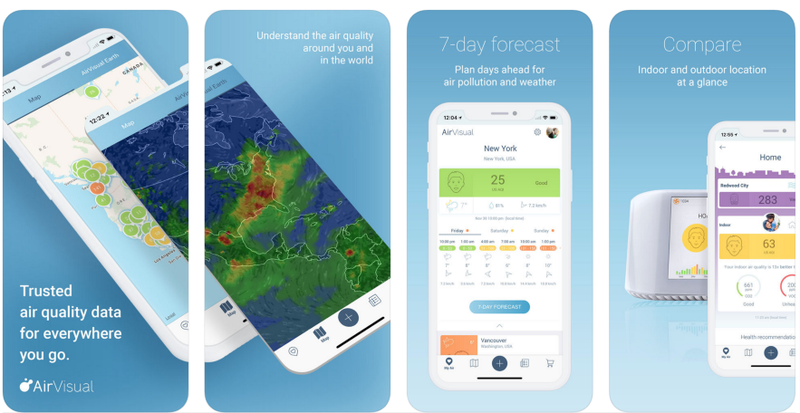 The most recommended app to track air quality information in the city is AirVisual Air Quality Forecast. Check pollution levels in the app, and then decide on your outdoor plans. Again, I always check the app before heading out for a run or any other activity outdoors — even if I’m up at 6AM and ready to go. Traffic is much lighter in the mornings in urban areas, so the earlier the better. Also try to train somewhere as far from busy streets as possible. I personally don’t wear proper face masks regularly, but using masks designed for industrial use do offer stronger protection against airborne chemicals. The paper masks you can buy from 7–11, or using a cloth/bandana to cover your mouth and nose don’t fully protect you from harm. 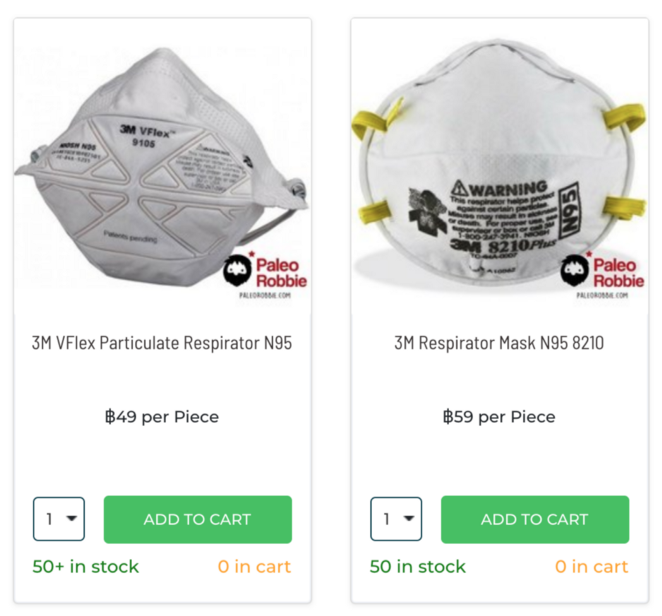 Paleo Robbie sells quality respirator masks at an affordable price. If you’re living anywhere with high concentrations of air pollution, it’s a no-brainer to try to get away from it once in a while for fresh(er) air. Wang Nam Khiao — classified as the highest grade ozone region in Thailand. I’ve personally visited this region several times, and my girlfriend has a farm there where they grow organic wild mushrooms. For air and soil quality, this region is an amazing getaway spot for something fresh. Personally, I don’t find the air pollution too bothersome or harmful. When I can, I try to avoid traveling by motorcycle-taxi when it’s bumper-to-bumper traffic — this way, you’re not stuck sitting stagnant amongst all the harmful engine smoke. Getting around the city can be stressful when you’re being mindful of air pollution and your health — so I always suggest to take the BTS Skytrain to your closest destination, and then either walk or take a motorcycle-taxi to limit your time of exposure. A Canadian Expat living in Bangkok since 2016. I’m a healthy-living devotee - and through research, personal experimentation, and sheer passion, I’m on a mission to find the optimal way to live through nutrition and fitness. Follow my journey as I try to reverse aging.